Officially introduced at CES 2019, the HP OMEN X Emperium 65 display is based on a 64.5-inch 8-bit AMVA panel featuring a 3840×2160 resolution, 750-1000 nits brightness (typical/HDR), a 3200:1-4000:1 contrast ratio (minimum/typical), 178° viewing angles, a 120 - 144 Hz refresh rate (normal/overclocked), and a 4 ms GtG response time with overdrive enabled. 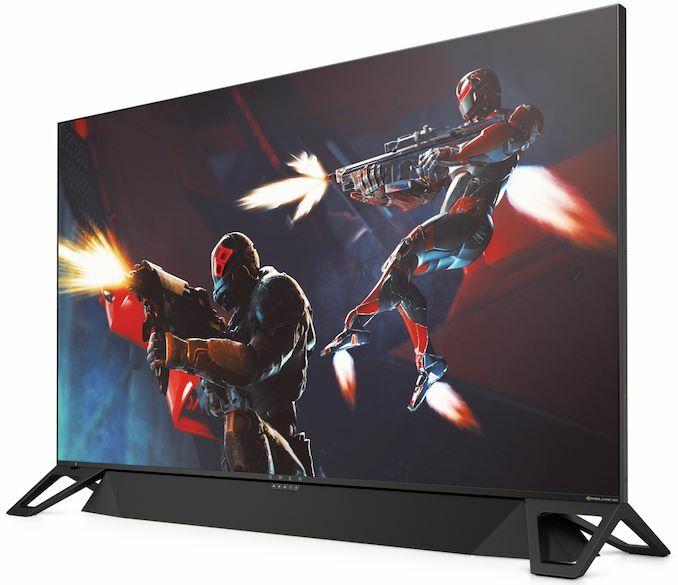 Just like other G-Sync HDR monitors released to date, this one is equipped with a 384-zone full direct-array backlight to offer a finer-grained HDR experience, and enhanced with quantum dots to guarantee precise reproduction of 95% of the DCI-P3 color space. The ultra-large display can connect up to four devices using one DisplayPort 1.4 as well as three HDMI 2.0b ports. To make the OMEN X Emperium 65 display more attractive both to gamers as well as those looking for other kinds of entertainment, HP outfitted its BFGD with a soundbar rated for 120 W of output power (with three stereo amps and Low Frequency Array technology) as well as a built-in SHIELD TV console that can be used as a media player to stream content from Amazon Video, Netflix, Hulu and other services. 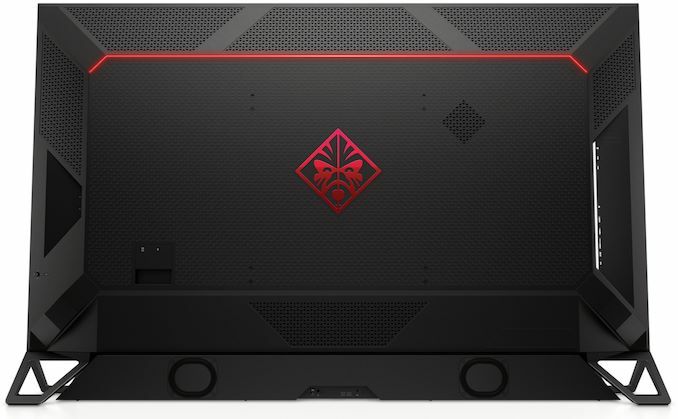 HP recently started to offer its OMEN X Emperium 65 online at a price of $4,999.99. As of press time, HP’s store stated that only nine units of the OMEN X Emperium were left in stock, so it is possible that there isn't many in the first batch. So it costs double the price of a E series OLED from LG. i would like it for the gsync but hdr usually has a processing / frame buffering overhead that increases input lag. as well I am not too concerned with having nvidia shield technology (for the same reason). i think they will sell well enough to justify their development. but that is only due to them being the only contenders in this niche market. He was right to highlight it. Capitalization and punctuation, are important. Helping Jack, off a horse. 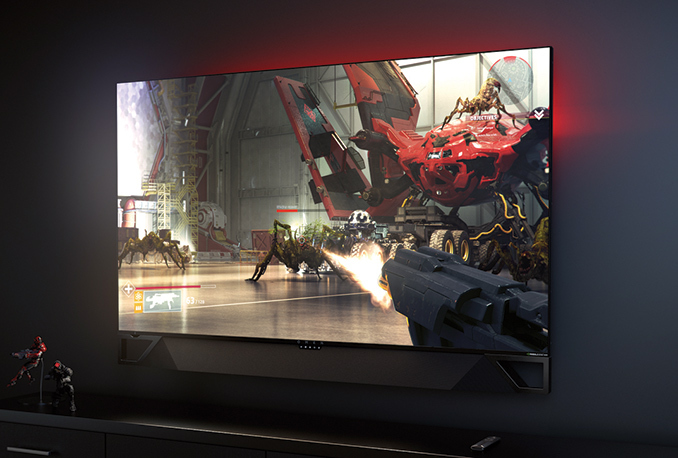 This is GSync and it's not 5k, it's 4k.